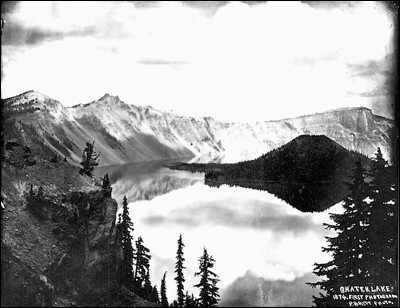 This is the first known photo of Crater Lake. It was taken by southern Oregon pioneer photographer Peter Britt in 1874. I used it as the cover photo on my 1977 volume of poems, Children of the Lake.